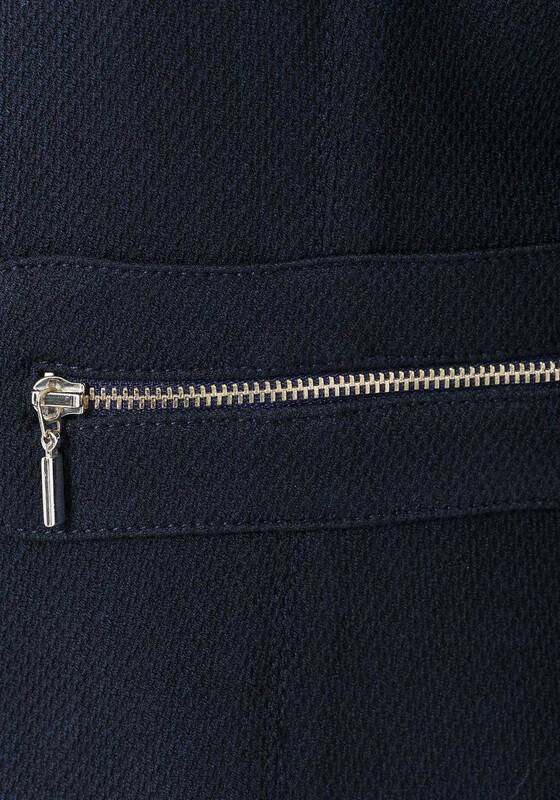 A perfect light layer that adds style instantly. 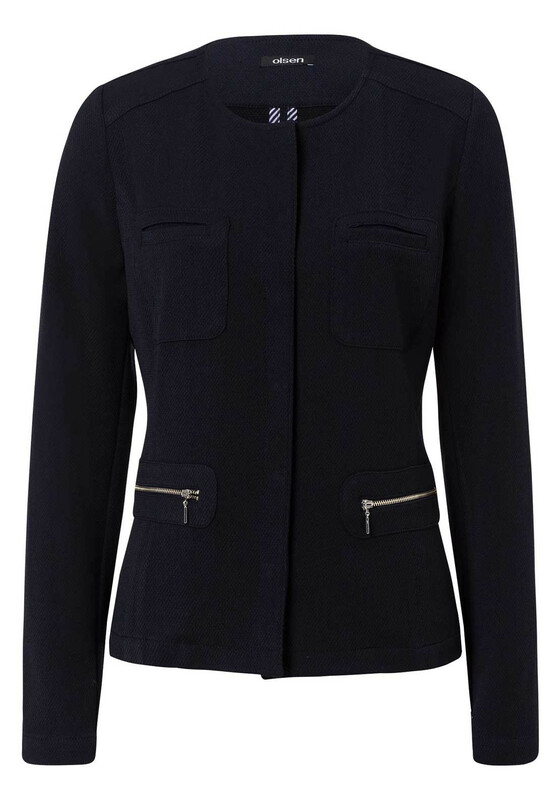 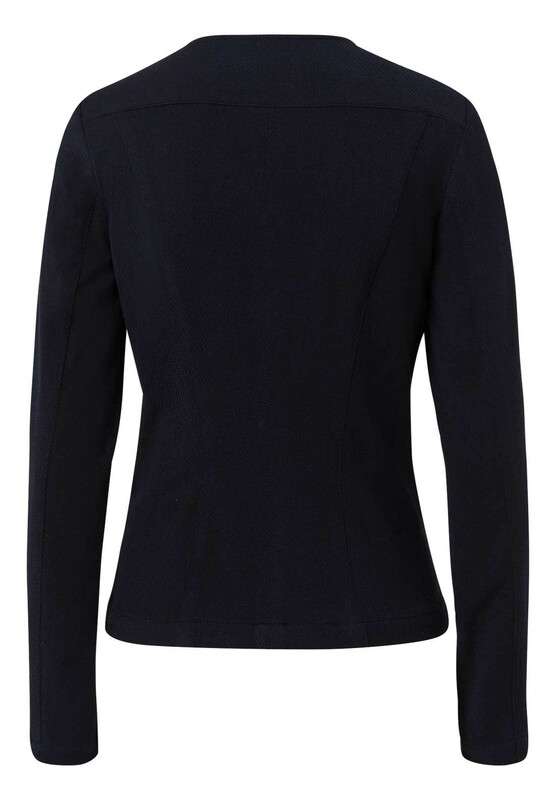 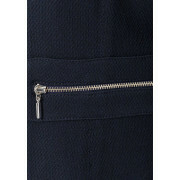 This navy jacket by Olsen will be a great versatile addition to your wardrobe. 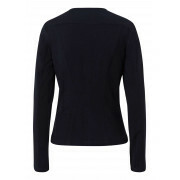 Made from a soft comfortable textured fabric with long sleeves, this jacket has two pockets to the front with silver zips and hidden buttons in the centre to fasten.